Outlet- Metered Switched PDU | Simply Connect Pte Ltd.
As part of its NRGence line, ATEN has developed a new generation of green energy power distribution units (eco PDUs) to effectively increase the efficiency of data center power usage. 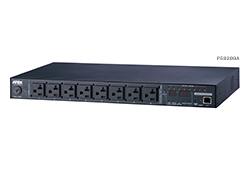 The NRGence PE8216 eco PDUs are intelligent PDUs that contain 16 AC outlets and are available in various IEC socket configurations. 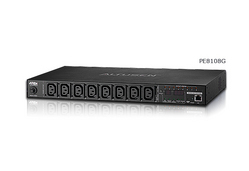 As part of its NRGence line, ATEN has developed a new generation of green energy power distribution units (eco PDUs) to effectively increase the efficiency of data center power usage. The NRGence PE8324 eco PDUs are intelligent PDUs that contain 24 AC outlets and are available in various IEC socket configurations. The PE8108 eco PDU is intelligent PDUs that contains 8 AC outlets and is available in various IEC or NEMA socket configurations. 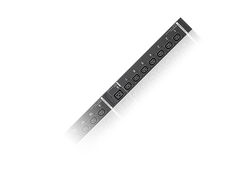 The PE8208 eco PDU is intelligent PDUs that contains 8 AC outlets and is available in various IEC or NEMA socket configurations.